The best soap for beautiful skin is one that gently cleans but also hydrates and nurtures. 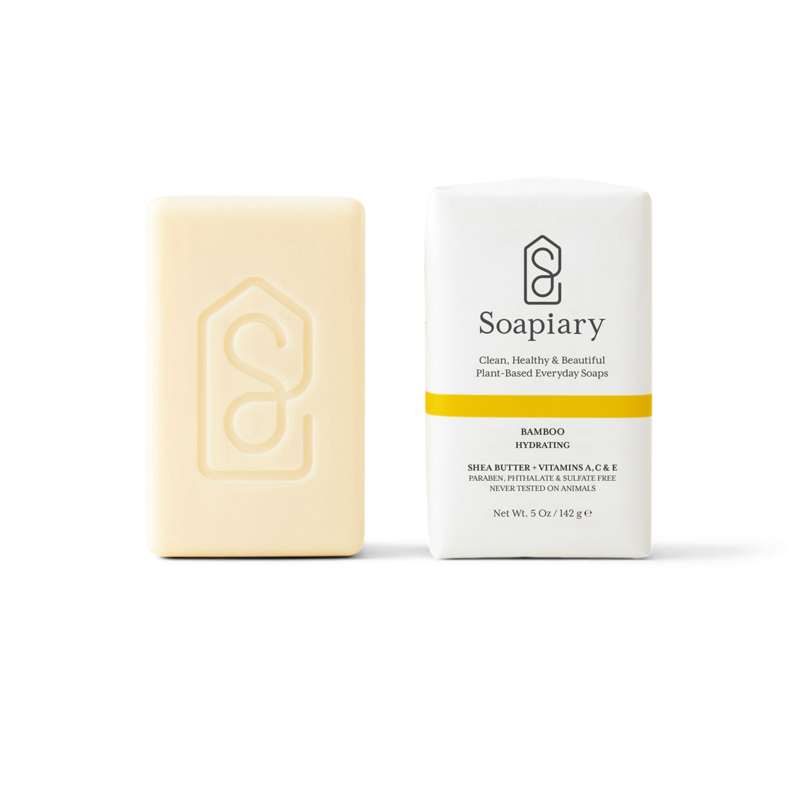 Made by iconic American brand Caswell-Massey, the Soapiary range’s Bamboo soap relies on the power of natural ingredients to care for the skin. The fig extract adds more nutrients to the triple-milled lather, while the bamboo extract provides long-lasting hydration. Shea butter and vitamins complete the moisturizing blend. The soap has a light, summery scent that is as fresh as it is refreshing. Free of phthalates, SLS, parabens, and petroleum products, the soap is also vegan friendly and gluten free. Gessato is an authorized retailer of Soapiary products. We purchase all of our Soapiary products directly from the company in order to bring you genuine items that represent the best in contemporary design. Every Soapiary product in the Gessato shop is authentic, comes with official brand packaging, manufacturer’s warranty (where applicable), and is sold with Soapiary's authorization.